If you’ve been paying attention to the news lately, you’ve most certainly heard of the term Bitcoin being used. This is because the price of Bitcoin has skyrocketed. It began the year worth $800 for a single Bitcoin. As of today, the price is over $15,000! So what the heck is Bitcoin? Is Bitcoin a scam? Or is it a legitimate way to make money? In this post, I will walk you through the history of Bitcoin and answer some common questions. I’ll also show you how you can buy and win Bitcoin if you so desire. Bitcoin began back in 2008 by a developer as a peer-to-peer electronic payment system. Instead of using paper currency like all nations do, Bitcoin is 100% digital currency. The allure of Bitcoins are that they are free from central authority. In the United States, we have the Federal Reserve overseeing the money supply. With Bitcoins, you don’t have this authority. It was pre-programmed that the total number of Bitcoins will never exceed 21,000,000. Every year, fewer and fewer Bitcoins are released to the public. By roughly 2040, no more Bitcoins will be produced. The entire process of creating Bitcoins is very technical and I will not be going into the details in this post. What can you do with Bitcoins? You can use them to buy things. Back when the digital currency first started, you were hard pressed to find places that accepted Bitcoin. But today, more and more places accept Bitcoin. And of course, if you are making a deal with another person, say at a yard sale for example, you could pay for the item in Bitcoin assuming the seller is interested in accepting them. Today, many people are simply speculating in the digital currency. They are buying up Bitcoins in the hope they can sell them in the future for more than they are worth today. The problem though is that many of these same people are putting all of their money into Bitcoin. What they should be doing is investing in a more traditional way and investing in Bitcoin with money they can stand to lose. The reason I say this is because Bitcoin is extremely risky to tie all your wealth into, as you will see as you read further through this post. You can use a Bitcoin for just about anything, assuming the buyer accepts them. There have been stories of people buying illegal drugs with Bitcoins. Because of this, many people think that Bitcoin is illegal when in fact it is perfectly legal to own Bitcoin. But for the most part, people are saving Bitcoin in the hopes that it will increase in value in the coming years. Before you jump into the Bitcoin craze, understand that the prices are extremely volatile. At one point in 2011 they were trading at $1 BTC to $260 USD because of the issues in Cyprus and then dropped in value by almost half. Then there is this year. In September, the price hit $8,000. Four months later and it is at $15,000. And before you think the price only goes up, know that in one hour of trading the price dropped $2,000. I do give credit to the creator of Bitcoin as it clearly states on the site that Bitcoins should not be used for savings. Because of the volatility of the currency and the unregulated nature of it, you don’t want to have a large percent of your savings in Bitcoin. Finally, as far as this being a scam, I do not buy into that idea. You can buy and sell the digital currency and you can purchase goods and pay for services with it. However, since it is unregulated, you just have to take more safety measures than you would with currency that is recognized by a government. If you decide you want to buy Bitcoin, you need to join an exchange. This is completely free to join, but you do have to pay in order to buy Bitcoin. The best exchange I have found is Coinbase. They offer a free digital wallet to store your purchased Bitcoins in. They also offer you access to other digital currencies as well, such as Ethereum. Yes, there are other digital currencies out there too. To open your free account with Coinbase, click here. Of course in addition to buying Bitcoin, you can win the digital currency. There are many games and apps that allow you to win fractions of Bitcoin. One that I use is the app Free Bitcoin. Now, before you think you are going to become a millionaire going this route, you need to push the brakes. It is going to take a lot of work to earn just a half of one Bitcoin. So don’t think this is a get rich quick scheme. If you understand this and still want to play games to earn some fractions of a Bitcoin, then by all means, sign up. Here is a little more detail about Free Bitcoin. Every hour you enter a code to earn free bitcoin. It is a raffle and most times you are earning around 0.00000015 Bitcoin. If you get lucky however, you can earn more. But as you can see, it is going to take you time to really make money by using the raffle. Luckily, there are other options with this app. There is also a lottery you can enter into to win more Bitcoin. Alternatively, you can play a hi-lo game. This is where the real money is at. As you play this game, you can really make some Bitcoin. But again, you aren’t getting rich overnight. You can join this free app by clicking here. The biggest issue with Bitcoin is the fact that there is a finite supply of them. If we reflect back on basic economics of supply and demand, we know that as supply decreases, demand increases. This will apply exactly to Bitcoin. As the years pass and less and less Bitcoins are produced (and eventually production stops), demand for them will increase. Because of the increase in value, many people will choose to hold onto the coins instead of spending them. This will lead to people hoarding the coins which will drive the price up even higher. Then at one point, because the value is so high, no one new will enter into the system to buy Bitcoins. The holders won’t spend them because of their value. The result is deflation or a crash of the entire system. Of course, this is all in theory. But it could play out. It’s just that no one knows what is going to happen in the future. For example, many people think Bitcoin is a scam and the bubble is about to burst. But think about this. Less than 10 million people are involved with Bitcoin at the moment. There are 300 billion people on the planet. So while the price looks high now, it could be a fraction of the value in 10 years assuming more people begin to use it a viable currency. Bitcoins are an interesting concept in the electronic payment system world. Up until now, no real alternative currency has taken root, simply because of the barriers of entry and the regulations. I foresee Bitcoin as a pioneer, but an eventual failure. This is not to take anything away from the system. 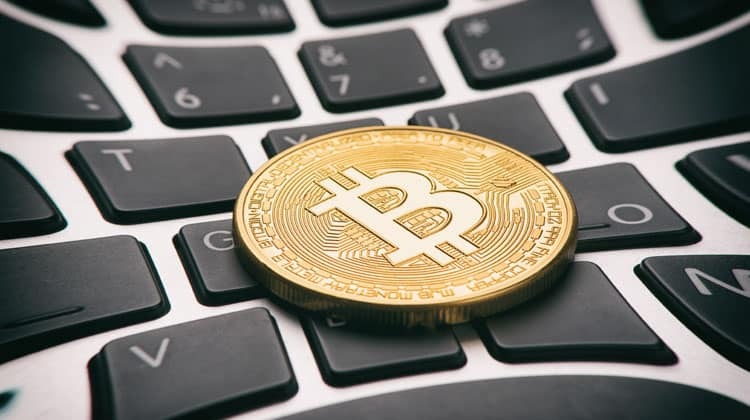 I think that it is ingenious and lays the groundwork for version 2.0 of virtual currency to expand upon Bitcoins successes and correct its failures. It will certainly be interesting to watch how it unfolds. I’m really enjoying seeing the Bitcoin community spring up and more information being published. I think it is important that people are educated about crypto-currencies. As much as we see the headlines online (and occasionally on the news) there are a lot of people totally oblivious to Bitcoin. I’d say it’s on each of us to help spread the word. You’re doing your part. Thank you for a great article!